CrossFit is a fitness trend that has been gaining popularity over the past few years. Started by California Native & Gymnast Greg Glassman in 2000, CrossFit has now become a worldwide phenomenon in the fitness industry. According to a report by Tabata Times, CrossFit has grown from just under 100 gyms in the early 2000s to an outstanding 5000 gyms worldwide in 2012. The fitness trend has become a popular sport with CrossFit diehards competing competitions like the CrossFit Open Games. Check out a few reasons why CrossFit is doing so well. According to Forbes, CrossFit’s brand generates nearly $4 billion in annual revenue. CrossFit involves a high intensity intermittent-training (HIIT) workout that provides cardio and strength training simultaneously thorough many reps in a small given time frame. According to the US National Library of Medicine, workouts that incorporate high intensity interval training burn nine times the fat than moderate workouts. CrossFit is an effective training method for athletes and fitness enthusiasts to meet their goals. CrossFit is more than a gym membership and workout regime. According to Statistic Brain, 67% of the people with gym membership don’t use their membership. 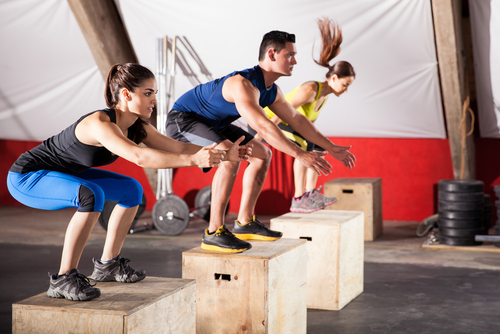 CrossFit enthusiasts are more dedicated to their gyms (commonly referred to as boxes in the CrossFit community) because the most successful gyms emphasize community. Many successful boxes have incorporated mentoring systems, local charity fundraisers, and small classes sizes to increase the social component to their highly effective workouts. This keeps customers engaged and coming back. CrossFit, Inc releases its instructional videos and workouts of the day on Youtube, creating content that is easily shared and easily consumed by the millions of viewers on the Internet. This not only expands their reach online but it also boosts brand recognition. Other marketing initiatives like CrossFit competitions have helped to make CrossFit well known. The more content your gym or fitness center has online helps perspective customers discover you. Some gym owners may want to look into becoming a CrossFit affiliate. There is a $3000 annual fee for gyms to be a CrossFit affiliate with an additional $1000 training seminar for your staff. Whether or not your gym wants to take the plunge and become an official CrossFit box, all fitness professionals can learn from the CrossFit business model. An effective product, a strong community and strategic marketing is a recipe for success. Want to learn more about marketing your gym and fitness center? Check out SinglePlatform on Twitter, Instagram, or Facebook. For updates sent directly to your inbox, sign up for our newsletter below.